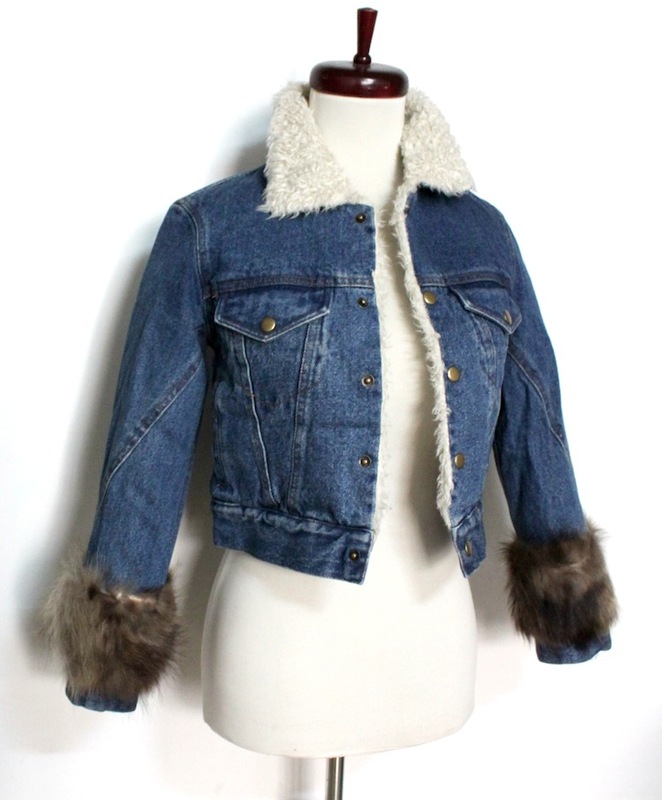 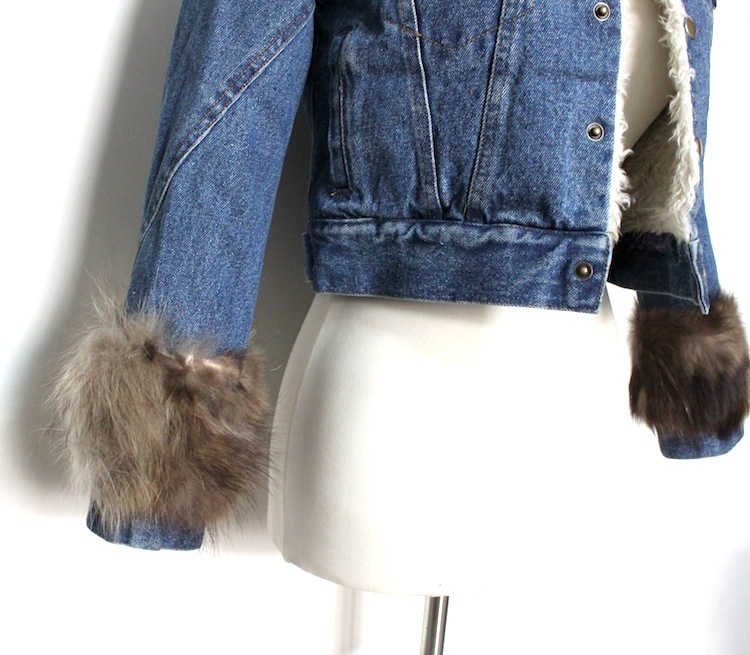 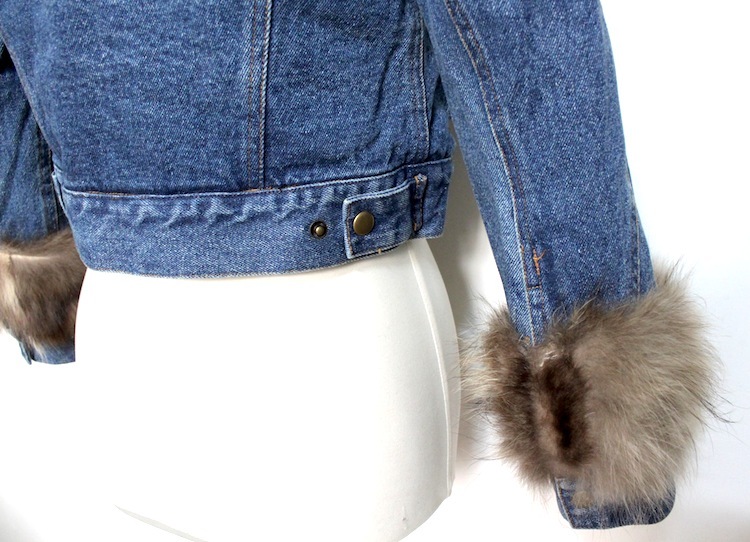 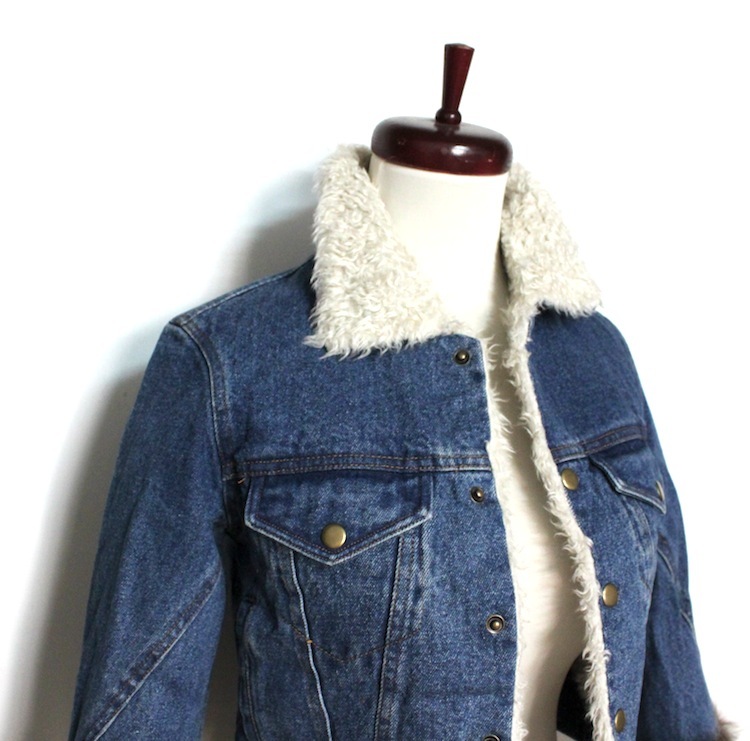 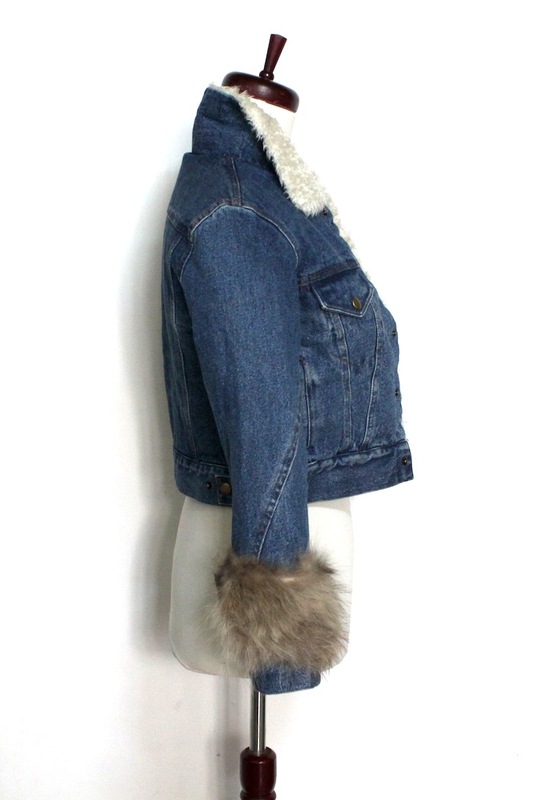 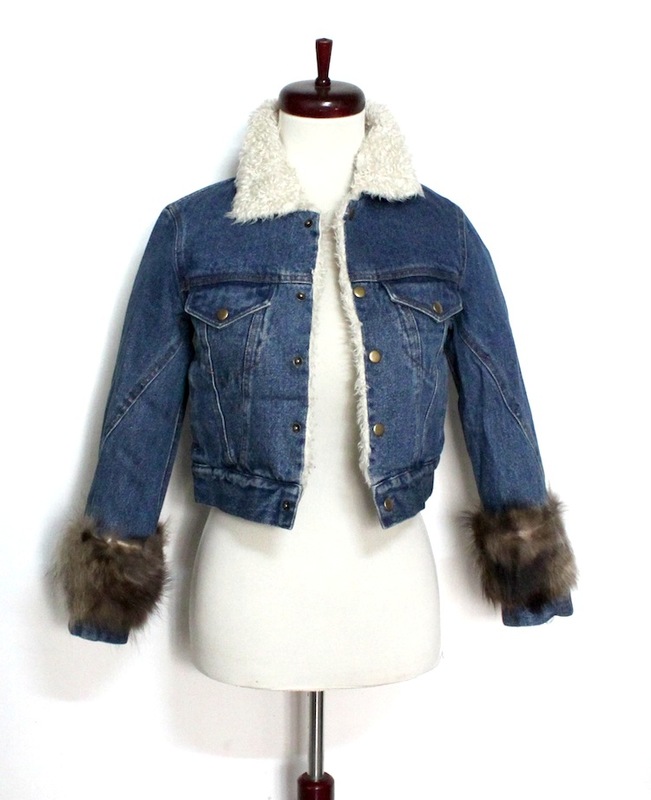 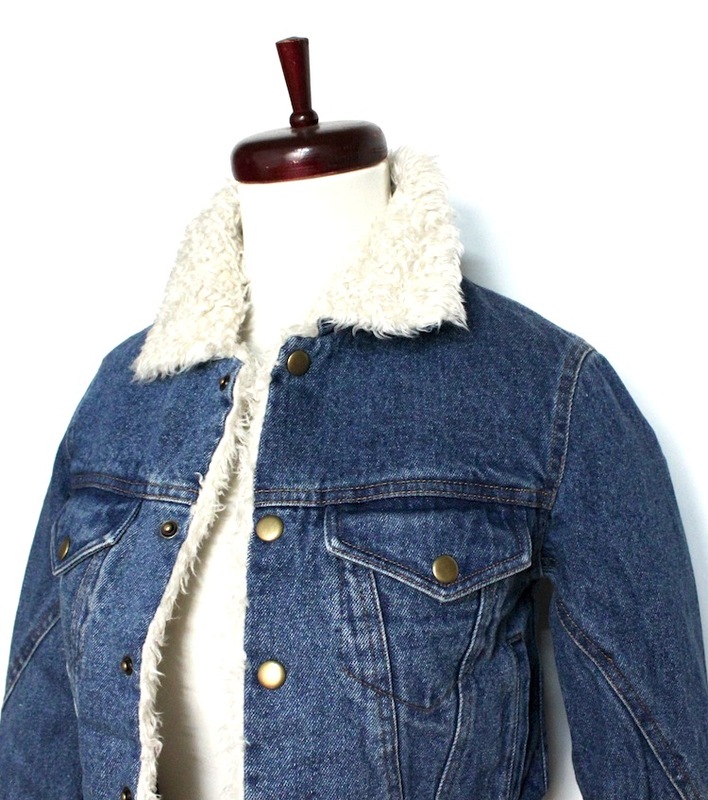 Denim jacket with fur trim. 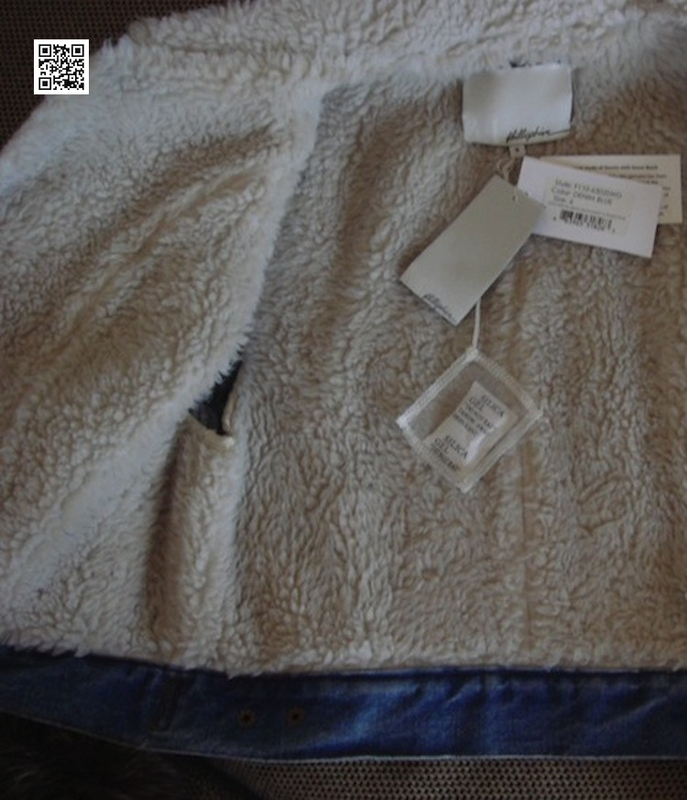 A shearling collar leads into the popper fastening front. 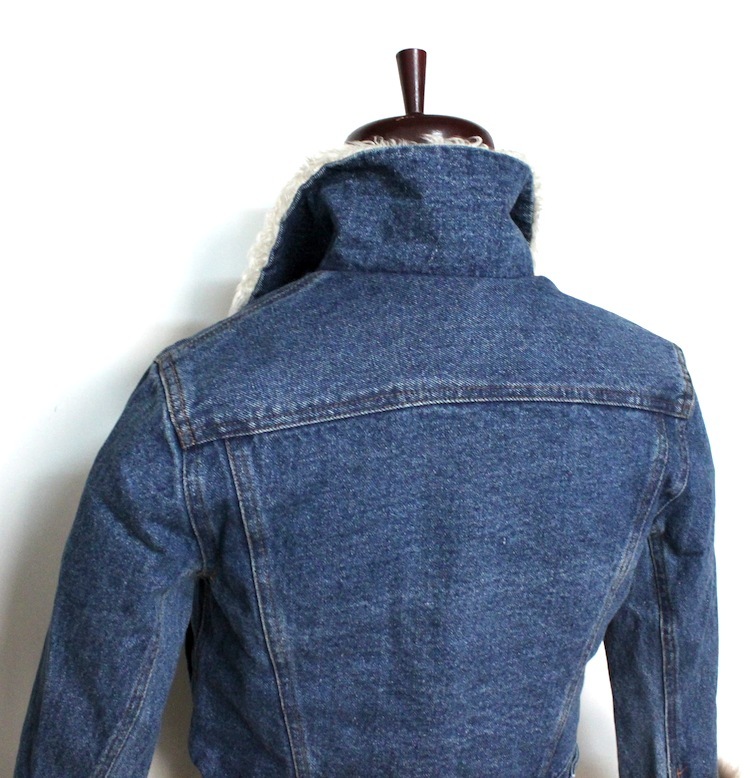 Two popper fastening pockets sit at the chest. 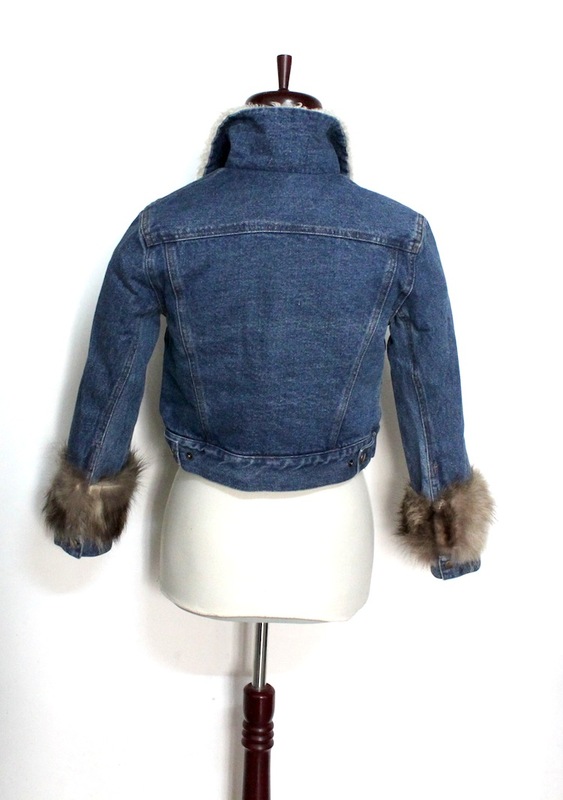 The body is cropped and lined with faux shearling. 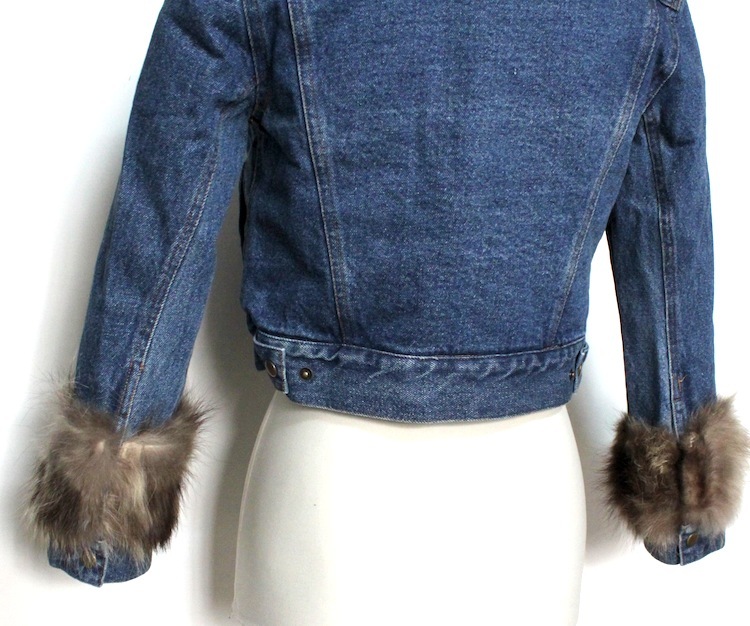 Trim at the cuff is detachable via button fastenings. 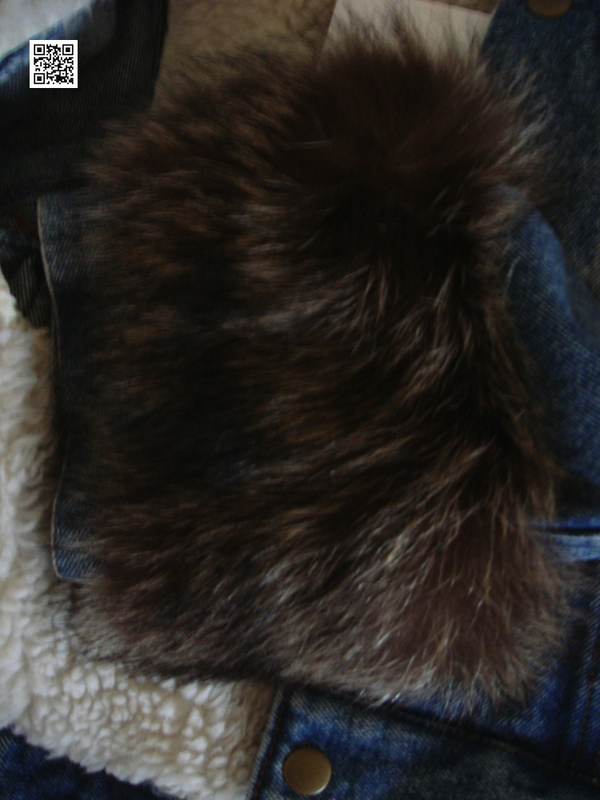 The hemline falls to the waist. 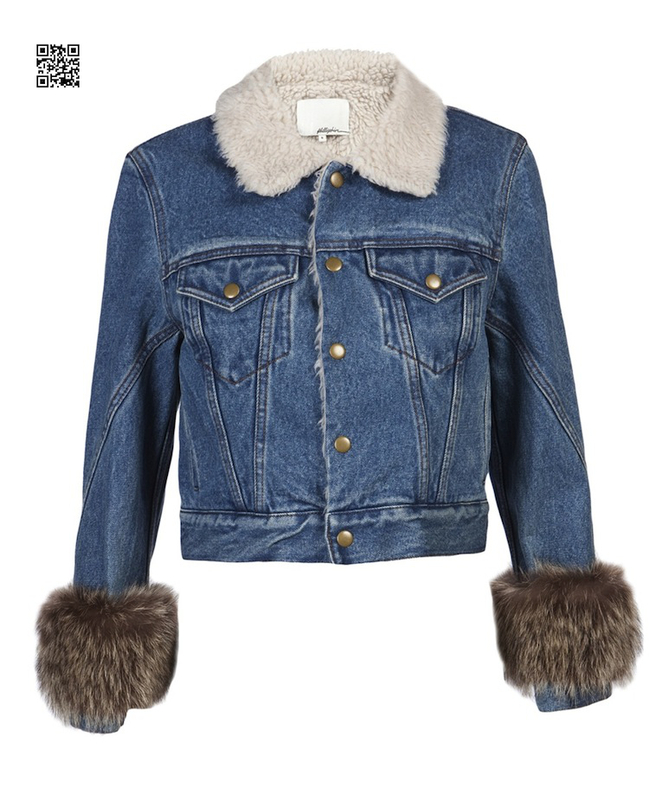 Create a double denim look this season with this jacket with fur trim. 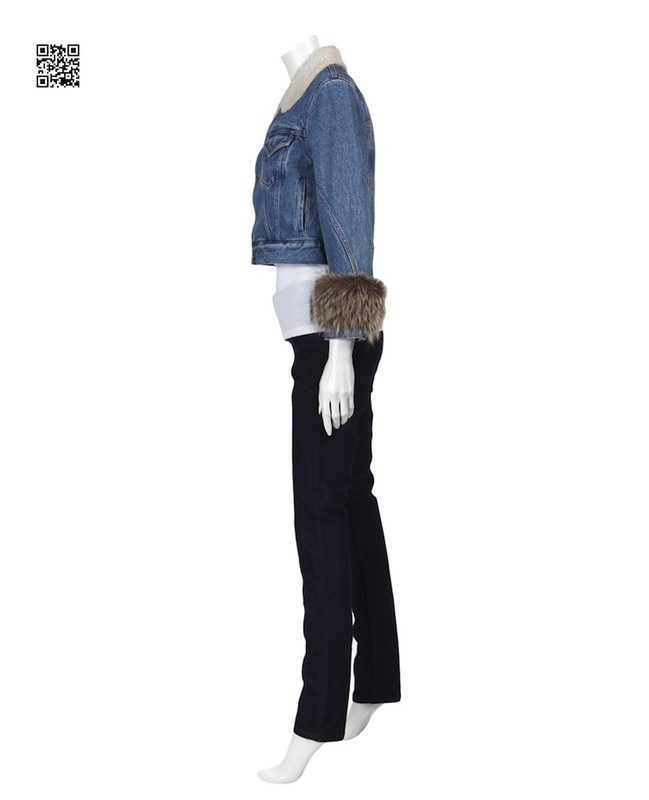 Team with denim shorts and pumps for casual downtown style.